This term came from Korean and Japanese skincare regimen. Essence is usually has a pretty liquid texture (not as runny as a toner, yet not as thick as a serum) and it contains a blend of numerous beneficial ingredients to support healthy, radiant, even-toned skin. Essences are often remarkably hydrating due to the presence of hyaluronic acid. All of these specialized ingredients improve uneven skin tone while leaving the skin feeling soft and supple. When do we use an essence? Both, day and night. After a toner and before a serum or an ampule (or a moisturizer, if you do not use serums or ampules). 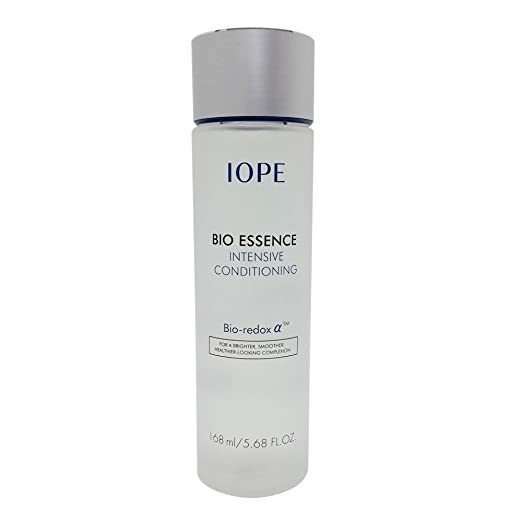 How to use a specific acne treatment like Benzoyl Peroxide or Azelaic Acid, when using essence? First comes a toner, then an essence, then a lightweight serum/ampoule, then acne treatment. Skincare layering is not that complicated: simply apply runny water-based products first, then go for thicker consistency. Ok, being exceptionally hydrating, essences require to be “sealed” with a moisturizer to prevent water loss, so consider using a good moisturizer even if you have an oily skin and it might sound counter-productive (check out this page for more on that subject https://soulcharming.com/the-best-moisturizers-for-oily-and-acne-prone-skin/ ) Especially if you live in a dry climate as hialuronic acid might draw the moist out of your skin, when humidity is low. Some people call it a dupe for very costly SKII essence. And there’s a reason for it – Missha’s essence contains the same main ingredient – Saccharomyces ferment filtrate (which is huge in Korean and Japanese skincare because it boosts the production of hyaluronic acid in our skin). It also contains bifida ferment lysate which excellently soothes skin and helps to restore natural protection barrier. It has a nice, not sticky texture and makes my skin feel calm, hydrated and supple. It’s a super lightweight serum with 90% Tea Tree extract to soothe and hydrate sensitive, irritated and troubled skin. I find it working best for acne-prone skin as tea tree is an amazing anti-inflammatory ingredient. It absorbs quickly, leaves no greasy feeling and remarkably brightens the skin. It’s also great that it does not have strong smell like a most products with tea tree. There’s the regular HadaLabo lotion with 3 types of hyaluronic acid (check it here http://amzn.to/2vsoaMm) and this one is a Premium version of it with 5 types. It’s more viscous than the original which is very runny. It absorbs beautifully, gives superb hydration and does not feel tacky on the skin. It’s one of the most popular products on Asian market and one of my personal all time favorites. 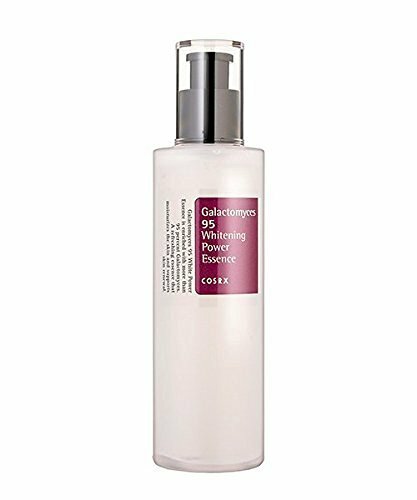 Another essence with Galactomyces (the same main ingredient as in crazy expensive SKII essence). I would say it’s a little thicker than a regular essence, but it’s typical consistency for all Cos Rx essences. It feels really nice on the skin and gives immediate hydration. It absorbs pretty well and does not leave a sticky film. Using it on a daily basis makes my skin plump and supple, but I make sure that I never forget to seal it down with a moisturizer. Again, here we have the same main ingredient as in SKII essence. The texture is not very runny and absorbs right away. It instantaneously reduces redness and inflammation of active acne. It does not contain any fragrance which is especially great for sensitive and compromised skin. It does brighten my skin but the only drawback for me is that it’s not the most hydrating essence. Ok, this one is technically not the type of essence we are used to – it’s rather a very lightweight gel emulsion with all of the benefits of both: an essence and an oil. I find it working amazing in winter or very dry climate. 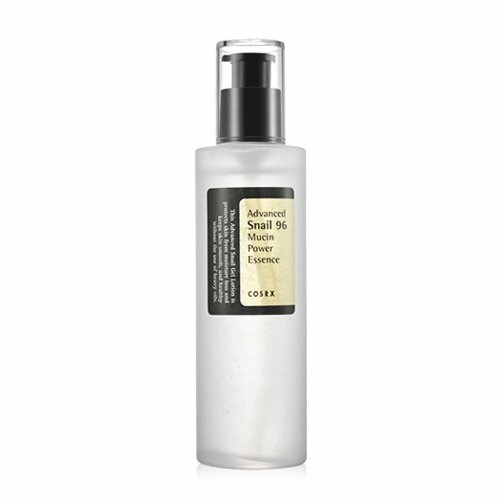 I apply it after a toner and it absorbs right away creating a perfect hydration balance on my skin. Ok, let’s finish the list up with cult SKII essence. You heard me mentioning it like 10 times today. I must admit, I did not try it. (Yet, haha). Why? Obviously because of the pretty high price (not yet ready to pay 100$ for 2.5 oz.) But I’m excited to hear your reviews on the essence! Go ahead and share your opinion in the comment section (on the other essences as well).